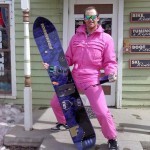 The Ask A Black Snowboarder Show Episode 71: Did Being Black Help or Hinder Your Pro Career? It’s been 71 episodes and we’re still chugging along. In this episode your host Marcus Stephens takes on a user submitted question about whether being black helped or hindered his pro snowboarding career. There’s probably some other questions too.